Gail Olszewski has been heard in solo and chamber recitals on piano, fortepiano, harpsichord, organ, harmonium, celesta and synthesizer in the United States, Canada, Europe, Central America and Australia. She lives in the Minneapolis/St. Paul, Minnesota area where she has a varied free-lance career as a collaborative keyboardist, concertizing with members of the Minnesota Orchestra and St. Paul Chamber Orchestra among others. She has played harpsichord and organ continuo for such groups as the St. Paul Chamber Orchestra, Phipps Oratorio Society, Minnesota Sinfonia and Minnetonka Chorale, and has appeared as a synthesizer player with organizations including the Plymouth Music Series, St. Paul Chamber Orchestra, Buffalo Gal Productions. Gail is often sought out as a vocal coach and has performed in concert with many singers in the US and Canada. She has served as music director, rehearsal and show pianist for Ordway Productions, Nautilus Music Theater, Illusion Theater, Minnesota Opera, Northstar Opera, Opera Twin Cities, Duluth Festival Opera and Garden of Song Opera. Since 2014 she has coached singers and played newly-composed art songs as part of Source Song Festival. Gail has appeared twice in Minnesota’s Fringe Festival as pianist in choreographer Christopher Yaeger’s “Dance Hall Days” and with Garden of Song Opera in an English-language performance of Gluck’s “Orpheus”. Performance highlights include soloist in the piano concerto of Clara Schumann with the Minneapolis Philharmonic, harpsichord soloist in concertos of JS Bach and featured soloist on piano and celesta in Georgy Ligeti’s “Chamber Concerto” with the St. Paul Chamber Orchestra, solo modern piano and fortepiano recitals in Canberra, Australia and recitals on historic pianos in September 2005, September 2007, October 2009, May 2013 and May 2016 on the Frederick Collection’s concert series in Ashburnham, Massachusetts. In April 2016 she and harpsichordist Layton “Skip” James played two concerti by Georg Wagenseil (orchestrated by James), which had not been performed since the late 18th century, with the Dakota Valley Symphony in Burnsville, Minnesota. Other performances include solo and collaborative fortepiano recitals for meetings of the Historical Keyboard Society of North America (www.historicalkeyboardsociety.org) and harpsichord soloist on JS Bach’s 5th Brandenburg Concerto with Music St. Croix. Gail and fortepianist Don Livingston presented Fortepiano Festival, 3 concerts of solo and duo keyboard music May 2016 in St. Paul, Minnesota. Among her many performances in 2018, she was one of four harpsichordists in the premiere of Asako Hirabayashi’s Concerto for Four Harpsichords and Strings in St. Paul, MN. Gail is a founding member of The WolfGang, dedicated to authentic instrument performance of music of the Classic period. She is also a member of Duo Tastiera with harpsichordist and composer, Asako Hirabayashi and the chamber group, Music St. Croix, based in Stillwater, Minnesota. She has recorded with Borealis Brass (www.borealisbrass.com), The WolfGang and Duo Tastiera and can be seen in a number of videos on YouTube and Baby Blue Arts (www.babybluearts.com). Since 2014 The WolfGang and Duo Tastiera have participated in the Twin Cities Early Music Festival in Minneapolis and St. Paul, Minnesota. Gail has presented master classes and lecture/recitals on chamber music, ornamentation, Classical performance practices, Baroque and Classic styles, women musicians and their music, the history of keyboard instruments, late Romantic Finnish piano music, music of the Classic period and teaching collaborative skills to advanced pianists to many schools, symposia and professional organizations and has had review articles published in the Journal of the International Alliance for Women in Music. 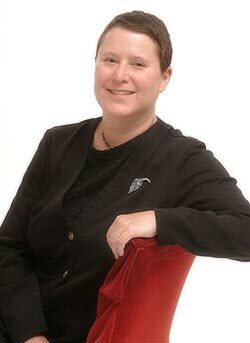 Gail holds the degrees Doctor of Musical Arts in Accompanying and Coaching from the University of Minnesota, Master of Music in Piano Performance from Boston University and Bachelor of Arts in Spanish and Music History/Harpsichord Performance from the University of New Hampshire. Gail has a private studio where she teaches piano and harpsichord and coaches singers and instrumentalists. She is a member of the keyboard faculty of the MacPhail Center for Music in Minneapolis, Minnesota. In August 2018 Gail received a grant from Finlandia Foundation to record a selection of late 19th-early 20th century solo piano pieces by Finnish composers (Jean Sibelius, Oskar Merikanto, Ilmari Hannikainen, Selim Palmgren, Erkki Melartin and Leevi Madetoja). She recorded the music on an 1877 Blüthner grand piano which is part of the Frederick Collection in Ashburnham, MA and hopes to have the recording available to the public sometime in 2019. Stay tuned!